Useful information for Climbing Mount Damavand Iran. Mid June to mid September is the best climbing season for Damavand Iran. During this period the footpaths are usually free of snow, the weather is relatively mild and access by public transportation to the basecamp is easy, but the mountain shelters/refuges are crowded. Visit also Damavand Weather Forcast. Everybody without much hiking experience is strongly advised to tackle the mountain during this climbing season. Best days are Iranian midweek days. Saturday to Monday are recommended days to start. Iranian weekend are Thursday and Friday. Visit also Damavand Frequently Asked Questions. When Not to Climb (Off Season)?! Damavand Mountain shelters are open for use in all climbing seasons in Iran. While there is usually little snow on the mountain, even during summer temperatures at the summit drops to far below zero eg down to -25C at a summer night. Only experienced hikers with a strong urge to avoid the crowd, should consider an off season ascend. From mid October to around mid May climbing to the summit is highly perilous due to extreme wind and weather conditions, snow, ice and other risks. Climbing Mount Damavand is very popular not only among the Iranians, but also among foreign tourists, who seem to make up less than a fifth of all hikers. The peak season for climbing is during the school vacations which last from around 20 June to 23 Sep. The peak of the peak is reached about 6 August. It is recommended to avoid climbing in this period. In order to encounter neither too large nor too small crowds, we suggest you to ascend on a weekday (Saturday to Monday) in the first half of July before the start of the crowd. The downside of a climb in early July is the weather, which tends to be somewhat more unstable than later in the season. Avoid any program in Iranian weekends in summer, because of road traffic and crowds. Damavand besten Klettersaison und das Timing für Trekking-Expedition Touren. Beste Jahreszeit, um Damawand Iran aufsteigen. Timing und die beliebtesten Klettersaison. Wenn die Wanderwege sind frei von Schnee und das Wetter ist relativ mild. Persien Reisen Reiseveranstalter und Reiseunternehmen mit Sitz in Teheran. Iran kulturellen und historischen Touren. Bild Album von Bergsteigen in Persien. Bilder von Abenteuer Trekking und Skitouren. Demavand Karte. Low-Budget-Tour nach damavend iran.Damavand beste Zeit, Demawand Saison, kein Wanderweg Schnee, mildes Wetter. 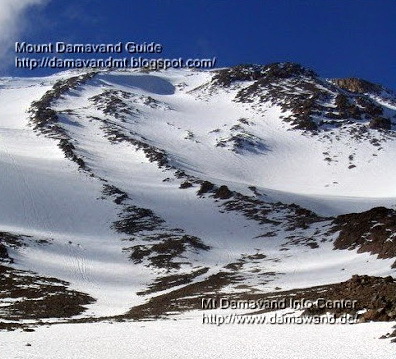 Damavand best climbing season and timing for trekking expedition tours. Best season to ascend Damawand Iran. Timing and the most favorite climbing season. When the footpaths are free of snow and the weather is relatively mild. Persia travel tour organizer and tour operator based in Tehran. Iran cultural and historical tours. Image Album of Mountaineering in Persia. Pictures of adventure trekking and Ski touring. Demavand Map. Low budget tour to damavend iran.Damavand Best Time, Demawand Season, no footpath snow, mild weather. 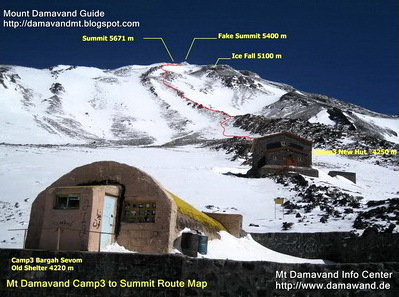 Damavand mejor temporada de escalada y el calendario de excursiones de trekking expedición. Mejor época para ascender Damawand Irán. El tiempo y la temporada más favorito escalada. Cuando los caminos están libres de nieve y el clima es relativamente suave. Persia organizador del viaje viajes y tour operador con sede en Teherán. Irán visitas culturales e históricas. Álbum de imágenes de Montañismo en Persia. Fotos de trekking de aventura y esquí de montaña. Demavand Mapa. Gira Bajo Presupuesto para damavend iran.Damavand Mejor Momento, Demawand Temporada, hay nieve sendero, clima templado. Damavand meilleure saison d'escalade et le calendrier de randonnées de l'expédition. Meilleure saison pour monter Damawand Iran. Timing et la saison d'escalade la plus favori. Lorsque les sentiers sont libres de neige et le temps est relativement doux. Perse organisateur du voyage Voyage et tour opérateur basé à Téhéran. Iran visites culturelles et historiques. Album photos des Alpinisme en Perse. Photos d'aventure trekking et ski de randonnée. Demavand Plan. Visite faible budget damavend iran.Damavand meilleur temps, Demawand Saison, pas de neige de sentier, temps doux. Damavand migliore stagione di arrampicata e la tempistica per trekking spedizione. Migliore stagione per salire Damawand Iran. Tempi e la stagione di arrampicata più favorito. Quando i sentieri sono privi di neve e il clima è relativamente mite. Persia viaggio tour organizer e tour operator con sede a Teheran. Iran tour culturali e storici. Foto album di alpinismo in Persia. Foto di trekking avventura e sci di fondo. Demavand Map. Tour Low budget per damavend iran.Damavand Best Time, Demawand Stagione, senza neve sentiero, clima mite. Damavand beste klatresesongen og timing for trekking ekspedisjonsturer. Beste sesongen til å bestige Damawand Iran. Timing og den mest favoritt klatring sesongen. Når stiene er fri for snø og været er forholdsvis mild. Persia reise tur arrangør og turoperatør basert i Teheran. Iran kulturelle og historiske turer. Fotoalbum av Mountaineering i Persia. Bilder av eventyr trekking og Ski touring. Demavand kart. Lavt budsjett tur til damavend iran.Damavand Best Time, Demawand Season, ingen gangsti snø, mildvær. Damavand лучший сезон для скалолазания и сроки экскурсии экспедиции туры. Лучший сезон, чтобы подняться Damawand Иран. Сроки и самый любимый альпинистский сезон. Когда пешеходные дорожки были свободны от снега и погода относительно мягкая. Персия организатор туристических путёвок, и туроператор базируется в Тегеране. Иран культурные и исторические туры. Изображение Альбом Альпинизм в Персии. Фотографии приключений треккинга и катания на лыжах. Demavand Карта. Низкий бюджет тур в damavend iran.Damavand Лучшее время, Demawand Сезон, не тропинка снег, мягкая погода. Damavand luchshiy sezon dlya skalolazaniya i sroki ekskursii ekspeditsii tury . Luchshiy sezon , chtoby podnyat'sya Damawand Iran. Sroki i samyy lyubimyy al'pinistskiy sezon . Kogda peshekhodnyye dorozhki byli svobodny ot snega i pogoda otnositel'no myagkaya. Persiya organizator turisticheskikh putovok, i turoperator baziruyetsya v Tegerane. Iran kul'turnyye i istoricheskiye tury . Izobrazheniye Al'bom Al'pinizm v Persii. Fotografii priklyucheniy trekkinga i kataniya na lyzhakh . Demavand Karta . Nizkiy byudzhet tur v damavend iran.Damavand Luchsheye vremya , Demawand Sezon , ne tropinka sneg, myagkaya pogoda .